Made in the USA of Solid Oak and Oak Plywood. 3 Glass Shelves with Lighted Interior and Glass Doors. 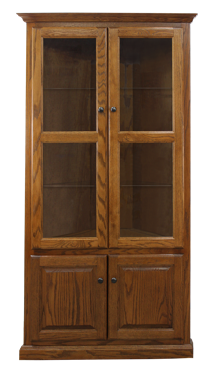 Also Available with Wood Doors and Wood Shelves (46795). 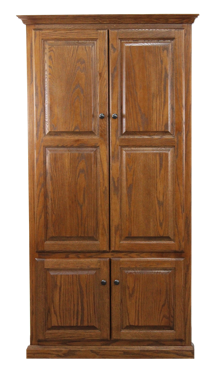 Availble in Light, Medium,Dark and Bourbon oak stains as well as Unfinished. Fully Assembled.